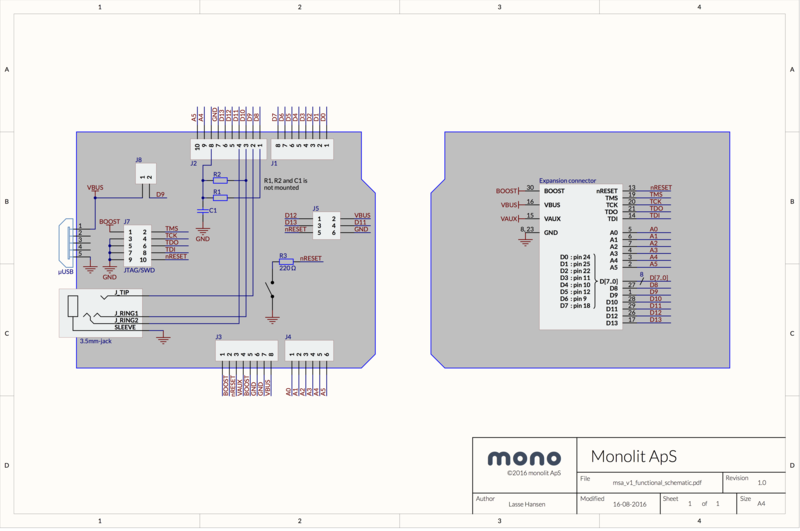 This is the schematics for our hardware. These are meant to help you develop our own extensions to Mono, go create! If you need more specific schematics than what is shown here, please consider posting a request on our community. 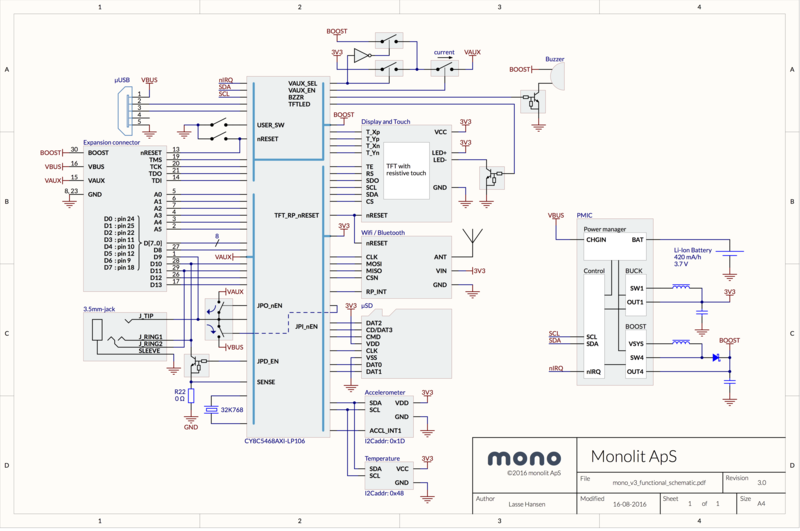 If you have a Mono Basic, it is the same as Maker, just without the Wifi / Bluetooth component mounted.